When looking to market your ICO and create a buzz around your FinTech company there’s a whole host of information out there on where to get started. From creating buyer personas, to killing it at social– maybe you already know you want to approach this using Inbound FinTech Marketing but you’re not sure where to get started. Or perhaps you think there’s almost too much information or that you just don’t have time to work and read all of this advice. If you’re strapped for time, that’s okay, because there are a lot of other ways to digest knowledge quickly – and one of the best ways by listening to podcasts. Here are a few of our favorite podcasts to give you a flavor of what’s out there. These are suitable for smaller business as well as enterprise level projects. 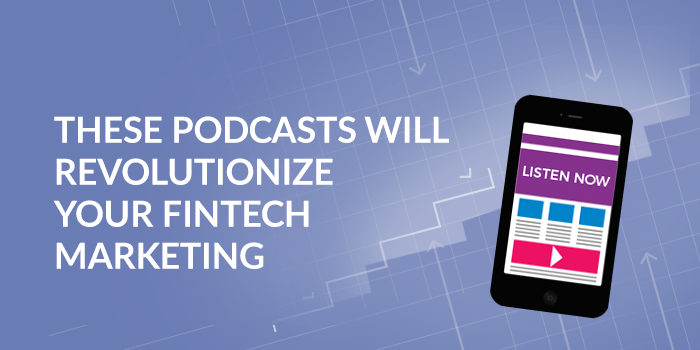 Listen to these while working on your FinTech product or service and absorb the wisdom.